Undoubtedly the smartphone of the moment is the recently released Apple iPhone 5 but there are some other great upcoming phones on the way in the next few weeks. We should always remember that as consumers we have a diversity of operating system platforms to choose from and not everybody wants Apple’s iOS. Today then we thought we’d compare the iPhone 5 with a top upcoming handset from the Windows Phone 8 and Android platforms. Read on for our iPhone 5 vs HTC 8X vs Droid RAZR HD comparison of OS choices. Obviously the Apple iPhone 5 is the only new iOS phone choice and we’re not saying the HTC 8X is the best Windows Phone 8 smartphone or that the Motorola Droid RAZR HD is the best Android. However both are shortly to be released and are creating a lot of positive attention at the moment so we thought a look at these three would be interesting. The iPhone 5 was released in late September while the Droid RAZR HD (known in other regions as simply the RAZR HD) is due to launch on Verizon in time for the holiday season. Indeed yesterday we told how the first accessories arriving in Verizon stores were a promising sign of a release soon. 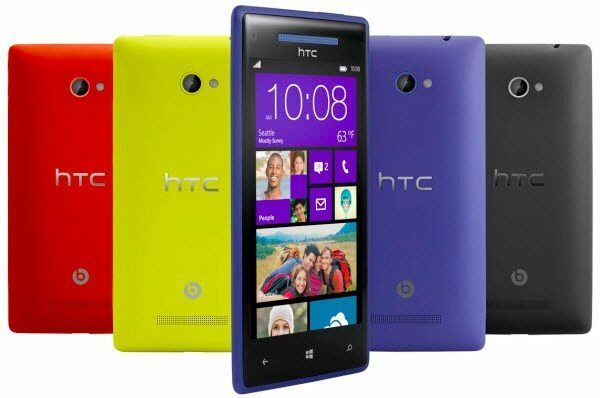 The HTC 8X is scheduled to release in November. We’ve written many articles on these three phones so we’ll give you some key specs and features of each handset by turn so that you can see what each has to offer. We’ll start with the Apple iPhone 5 and that has the Apple A6 1.2GHz dual-core processor, 4-inch Retina Display with resolution of 1136 x 640 and 326 ppi, 1GB of RAM and 16, 32 or 64GB internal storage options (not expandable). It also touts an 8-megapixel rear camera with autofocus, LED flash and 1080p video capture and a 1.2-megapixel front-facing camera with 720p video. As well as this the iPhone 5 has LTE connectivity, WiFi 802.11 a/b/g/n, WiFi Hotspot, Bluetooth 4.0 and USB 2.0 and has a 1440mAh battery. It runs on the very latest iOS 6, which although has had its problems especially with the new Apple Maps app, still offers a lot of improvements and new features. It comes in black and slate or white and silver color options, weighs 112g and its dimensions are 123.8mm x 58.6mm x 7.6mm. Moving on to the HTC 8X, officially titled the HTC Windows Phone 8X, this has a 1.5GHz Qualcomm Snapdragon S4 dual-core processor, 4.3-inch S-LCD2 display with resolution of 1280 x 720 and 342ppi, 1GB of RAM and 16GB of internal storage (not expandable). It sports an 8-megapixel camera with autofocus, LED flash and 1080p video capture and a 2.1-megapixel front-facing shooter, again with 1080p video. The HTC 8X doesn’t have LTE connectivity but does have NFC support plus WiFi 802.11 a/b/g/n, Bluetooth 2.1 and microUSB 2.0 and also a 1800mAh battery. It runs on the new Windows Phone 8 operating system, due for release at the end of October and color options are California Blue, Graphite Black, Flame Red and Limelight Yellow. It weighs 130g and dimensions are 132.4mm x 66.2mm x 10.1mm. 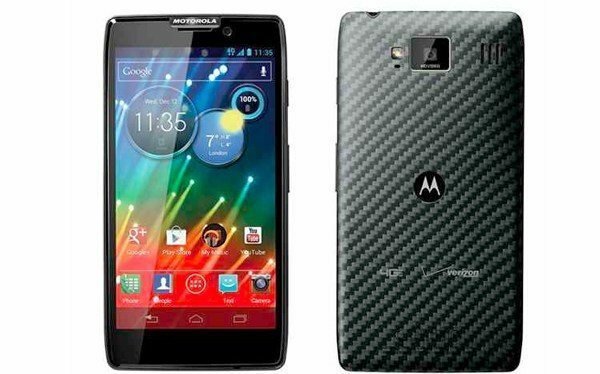 Finally we’ll give you some details for the Motorola Droid RAZR HD. This has a 1.5GHz dual-core processor, large 4.7-inch Super AMOLED display with resolution of 1280 x 720 and 312ppi, 1GB of RAM and 12GB of internal storage (expandable via microSD to 32GB). Camera-wise you’re looking at an 8-megapixel rear camera with autofocus, LED flash and 1080p video capture and a 1.3-megapixel front-facing camera. The Droid RAZR HD also has LTE connectivity, WiFi 802.11 a/b/g/n, WiFi Hotspot, Bluetooth 4.0 and microUSB 2.0 and it also has a 2530mAh battery. Officially this is coming running Android 4.0 Ice Cream Sandwich and some of you may wonder why we chose this handset over one running 4.1 Jelly Bean. The Droid RAZR HD will receive the Jelly Bean update in the future though and the other thing we’ve mentioned previously is that it’s taken so long to hit the shelves that by the time it actually appears it may just have Jelly Bean built-in instead. Color options are black and white and it weighs 146g with dimensions of 131.9mm x 67.9mm x 8.4mm. There are many, many other features to take in consideration but we have no room to list them all here. However we’ll point out that although there are similarities, such as the fact they all have dual-core processors and 1GB of RAM, there are also distinguishing factors. For example the iPhone 5 comes in three storage options but this it not expandable, while the HTC 8X has only a 16GB version that is also not expandable. However the Droid RAZR HD has the smallest internal storage at 12GB but this is expandable to 32GB. The iPhone 5 and Droid RAZR HD both have LTE connectivity but the HTC 8X does not, but the 8X does have NFC support which the iPhone 5 and Droid RAZR HD both lack. Meanwhile the Droid RAZR HD has a much larger battery capacity than the other two phones. Of course some of your decision may also come down to price but the pricing for the 8X and Droid RAZR HD has not yet been confirmed. However the iPhone 5 is available for $199, $299 or $399 for the different storage options on the usual two-year contract. Of course ultimately the design may be what helps you decide and this is very much down to personal preference. The Droid Razr HD actually does have Near Field Communication. Yeah , the Droid Razr HD has NFC . very much has NFC . You are getting your facts wrong bro ! The Droid Razr HD has 16 GB of storage, not 12 GB of storage. Not sure where you came up with “12” — I can’t think of any phone that has 12 GB —– but the Razr HD has 16! !